Breakfast Club: located at Westminster Presbyterian Church, this program provides a hot meal in the winter and a cold buffet express in the summer along with a bag lunch to go. Pastoral staff and ministerial volunteers provide a safe and open opportunity for guests to express themselves. All interested persons or families are offered assistance to obtain local social and human services. Pastoral Care: pastoral staff and volunteers offer a compassionate ear and an open heart to folks attending winter Breakfast Club. Our goal is to provide safe and open opportunities for guests to express themselves, to encourage a pleasant social atmosphere and to reduce conflict. We also pray with guests who request this comfort. In addition to emotional and spiritual support, FOCUS staff partners with a number of area organizations and agencies to provide practical assistance in obtaining local social and human services, such as housing and health services. Interfaith Food Pantry: located at Emmanuel Baptist Church, the pantry is open Monday through Friday and the last Saturday of each month. The food pantry provides a small supply of food to individuals and families to help bridge gaps and end hunger. First Church Food Pantry: located at First Church in Albany, the pantry is open Monday & Wednesday 9:00-11:30 AM. 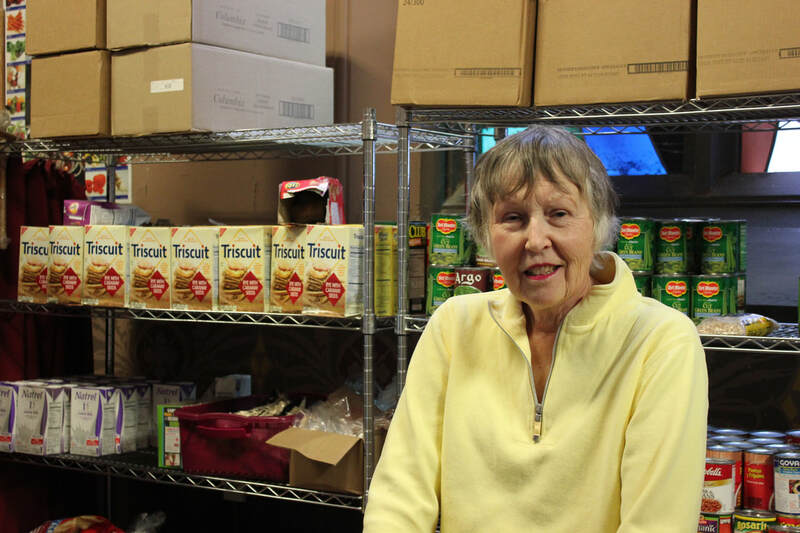 The Food Pantry provides a small supply of food to individuals and families to help bridge gaps and end hunger. Learn more about the FC Food Pantry here. Gardening in a Bucket: we take to the road with this spring & summer program that helps pantry guests, children and others create a small fresh food “garden” in a bucket—supplies and seeds are provided. School Supply Program: FOCUS partners with First Church in of Albany to distribute donated school supplies to over 100 Albany children.